Equip your phone with an additional USB port. 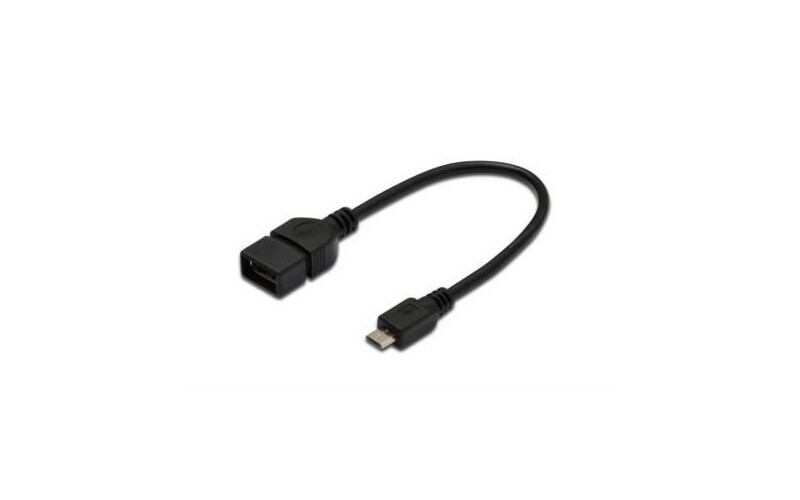 The USB adapter cable allows direct data transfer between two devices without a PC. 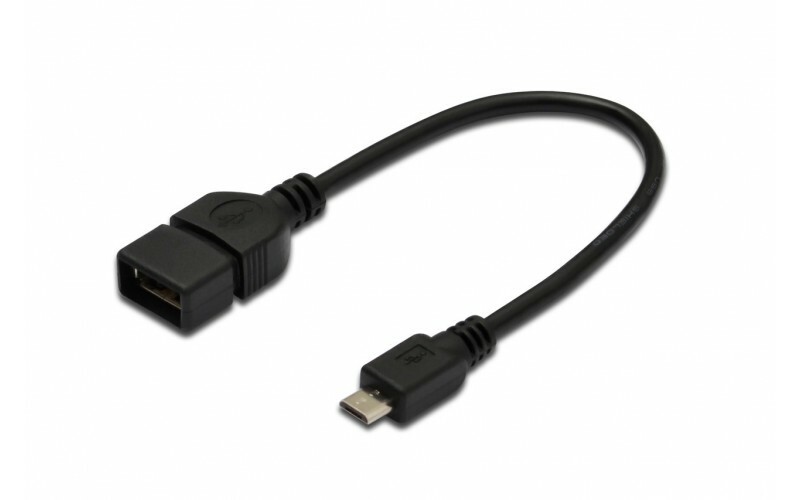 Thus you also add an USB connection to your smartphone, for example. 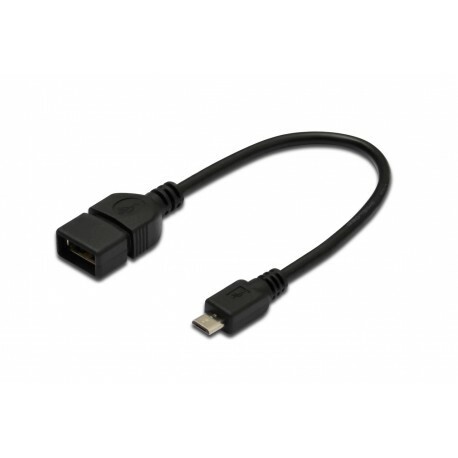 The connected devices must be OTG (On-The-Go) compatible.